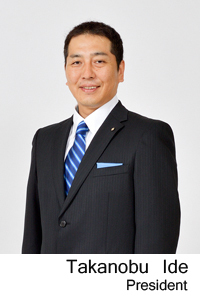 Company Profile | TAKACHIHO KOHEKI CO., LTD. In order to consistently add new value and deliver new products to the market, gathering advanced information, the expertise to identify products of interest, and the marketing ability to accurately capture market needs are important. Such capabilities constitute our strongest advantages. In addition, our capabilities in consulting, development and design services, and after-sales services, backed by advanced technical capabilities, have helped gain deep trust from customers and high evaluation as a technology trading company. We aim to harness our advantages and assets to expand the range of operations through the exploitation of markets by developing unique products and services and strengthening our competitiveness by creating added value. In addition, we will expand our range of global business operations by promoting the development of markets in Southeast Asia, including Thailand, in addition to the expansion of businesses in China. Furthermore, we will proactively work to open growing areas, including the retail solution markets, the cloud based wireless LAN markets and the rapidly developing digital technology markets, thereby creating new business opportunities. Takachiho Koheki will continue to work on under the spirit of “Creation” in adding new value to the markets and contributing to the prosperity of the industry and society. Copyright 2012 TAKACHIHO KOHEKI CO., LTD. all rights reserved.